The dynamic world of interior design continues to see process and technology enabled innovative approaches. These bring a promise of functional living fused with aesthetic design. However, only a miniscule percentage of aspirational buyers enjoy the privileges of these advancements. Majority of them still live with the archaic business models and processes for achieving the decor. The result; design and outcomes that do not match, time and cost overruns, inconsistent quality, unforeseen/unbudgeted expenses, coordination nightmares, expensive consultants, and overall a bitter experience. Sounds familiar? Intezine seeks to address these, and more, through its distinctive business model. A model that is an outcome of its experience and investments in the right ecosystem that enables us to invest time and talent in crafting design options for you. Designs that are further implemented through impeccably finished interior products adhering to international standards. Our unique business model, methodology and ecosystem bring aspirational lifestyles within the realms of affordability. These also bring unusual predictability in terms of time and cost that is yet unseen in the world of interiors. The underlying motto is providing a comprehensive offering that ensures ONE SOURCE, ONE COST, ONE TIMELINE and ONE QUALITY, coupled with MULTIPLE CHOICES. Sounds just like you wanted it, right? The team behind Intezine brings an array of pertinent experiences from across functions and industries. These experiences have created a robust, multi-dimensional foundation that enables Intezine to offer a differentiated value proposition to its esteemed clients, and build scalability in business. An architect by qualification, Sanjeev brings 24 years' experience in construction, contracting and residential/corporate interiors. As one of the best interior designers in Pune, he has also co-founded and grown successful companies that have had pan India business footprint. 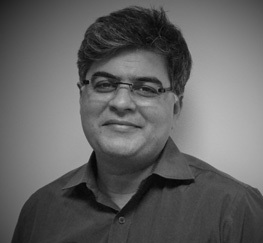 Sanjeev oversees design, sourcing and project execution functions at Intezine. For over 24 years, Nikhil has orchestrated strategies and plans for business growth in various industry domains, across global markets. He has also been founding member of successful start-ups. 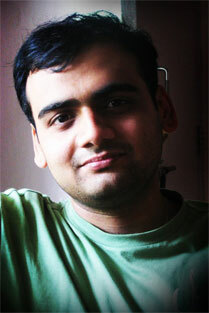 At Intezine, Nikhil, apart living his passion for design, drives sales, marketing and client relationships. He holds a bachelor’s degree in engineering and a master’s degree in management. 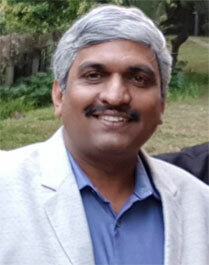 Sandeep is a first-generation entrepreneur and computer engineer by qualification. With more than 18 years in the ICT industry, he brings extensive experience in IT/mobile applications and cloud technology. He has also co-founded companies that offer IT solutions and services. Sandeep looks into leveraging technologies and platforms that enable and transform operational aspects of Intezine's business. 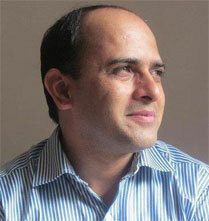 Rhishikesh brings almost a decade of experience in IT services and sourcing domains. To provide customers with an array of options, he has developed a sizable base of suppliers and manufacturing partners, across Asia. His primary focus at Intezine, is sourcing operations. His previous experience with technology and business solutions also comes handy in automation of internal business processes. Rhishikesh holds a bachelor's degree in engineering.